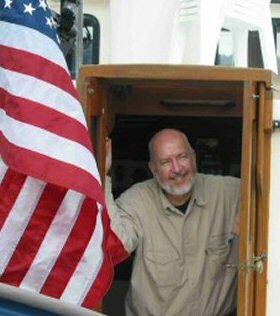 Terence K. McGee graduated from the University of California at Berkeley and served on active duty in the U.S. Coast Guard from 1969 to 1972. He sailed as deck watch officer, navigator, and operations officer of USCGC BITTERSWEET, homeported in Ketchikan, Alaska. Terry was Editor-in-Chief of the Pacific Law Journal while attending the University of the Pacific, McGeorge School of Law, where he took his law degree in 1975. Terry extended his education through a very pleasant and instructive year as law clerk to Judge Herbert A. Swanson of the Washington State Court of Appeals, then entered private practice in Seattle in 1976. He became a Proctor Member of the U.S. Maritime Law Association in 1981 and has written and lectured on maritime law issues at the Pacific Northwest Admiralty Law Institute and the University of Washington. Terry founded McGee Law Offices in 2004. Terry has extensive trial experience in federal and state courts. He is admitted to practice before all state and federal courts in Alaska, Oregon, and Washington, the United States Tax Court, the United States Court of International Trade, the United States Court of Appeals for the Ninth Circuit, and the United States Supreme Court.